This house was designed and built by Drew Hastings, an architect at Raphael Design, for his family. 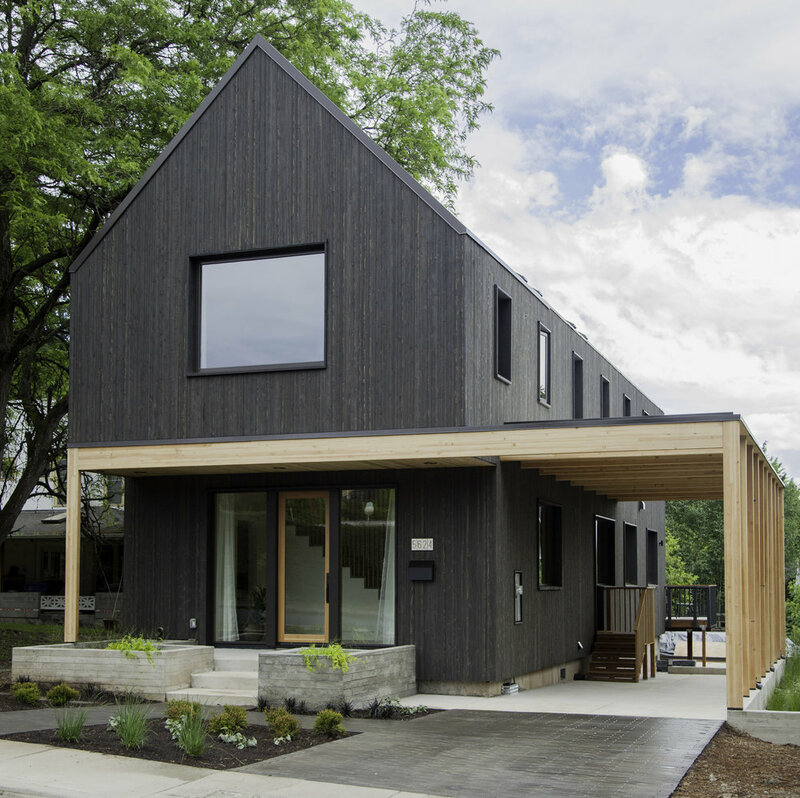 The form is archetypal gable-shape modern while referencing the 100-year-old neighborhood it inhabits. Because the lot is narrow, a screened carport was part of the design—instead of a garage—so light can flow into the middle of the house.